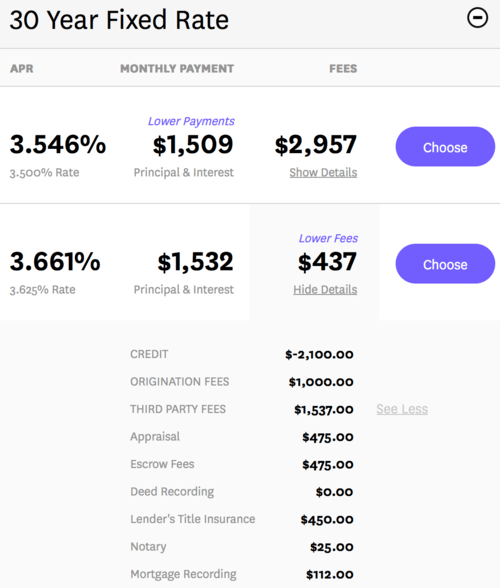 A new online mortgage lender by the name of “Clara” looks to separate itself from the crowd by touting technology and transparency. And from the looks of their website, they seem to be appealing to the youth. I might be joking a bit when I refer to them as a hipster mortgage lender, but that’s kind of what I take away when I peruse their site. They highlight the fact that you can text, e-mail, call, or even video chat with your loan rep during the process. So let’s see what makes Clara so special. First and foremost, the so-called “loan specialists” at Clara do not get paid a commission. That means they’re available to help you, not steer you into a certain loan product or urge you to do something you aren’t sure you want to do. That’s the idea at least. I looked at their mortgage rate quotes and they seem to charge a flat $1,000 loan origination fee regardless of loan amount or transaction type, such as refi or purchase. They offer cash out refis as well, but do not offer HELOCs. They seem to pride themselves on being super transparent with loan pricing, showing you all the fees associated with your loan right on the quote page. You can choose between a lower interest rate with more fees out-of-pocket, or a slightly higher rate with a lender credit. Either way, it’s all spelled out for you to see with your own eyes to help determine what’s best for your situation. At the same time, they want to empower the borrower by offering some mortgage education, with explanations on things like LTV and mortgage insurance. Clara has a page dedicated to their mission, which appears to be fixing the “broken” mortgage industry. We’ve heard this narrative before with the likes of Lenda, SoFi, and Quicken’s Rocket Mortgage. As much as we’d all like to text the mortgage lender our details and receive our loan in 30 minutes or less, that’s just not going to be a reality anytime soon. I hope it is eventually, and maybe newcomers like Clara will get us there. They do seem to have a very seasoned roster consisting of former employees from Yahoo, Google, Lyft, Twitter, Quicken Loans, Blackrock, the US Treasury, and even The White House. So they’ve certainly got the talent to make a difference. Now let’s talk about what Clara offers aside from transparency and technology. 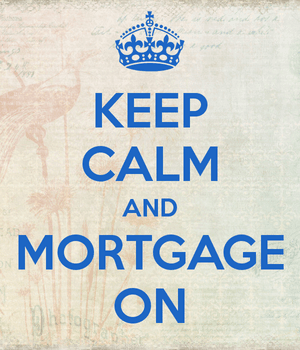 As noted, the company allows you to purchase a home or refinance an existing mortgage, including tapping home equity. They say they specialize in conventional, conforming mortgages, which seems to include loan amounts above the traditional $417,000 loan limit. You can get a fixed-rate mortgage, including a 30-year fixed, 25-year fixed, 20-year fixed, or 15-year fixed, or an ARM, including a 7/1 ARM, 5/1 ARM and 3/1 ARM. I plugged in a $336,000 loan amount at 80% LTV for a rate and term refinance on a single-family, owner-occupied home for a borrower with excellent credit (720+) and it spit out the rates seen above. Clara shows you the lender (and third-party) fees in detail as well, which is the transparency piece mentioned earlier. The process begins when a quote is generated online. If you’re happy with what you see you can create a login, at which point you’ll be assigned a licensed loan specialist. Their contact information will appear in the online loan portal on the Clara website and you’ll be able to keep track of the loan’s progress from there. The standard documentation is required for a Clara mortgage just as it is any other mortgage, though I think they allow you to autofill forms and speed through the paperwork a lot faster with their tech platform in place. That same technology should lower the cost of offering mortgages, meaning origination fees can be contained while also delivering competitive mortgage rates. When it comes to rate locks, Clara has a default 45-day lock for purchases and a 60-day lock period for refinance transactions. It’s unclear what happens if you exceed these time periods. While they don’t guarantee a specific time-to-close, they aim to fund loans on your timeline. Clara also sells all the mortgages it originates, but stresses that it is not a mortgage broker. I guess that makes it a mortgage banker because all of their loan officers, processors, and underwriters are in-house at their San Francisco headquarters. At the moment, Clara is only offering mortgages to California homeowners. But if things go well, there’s a good chance they’ll expand to other nearby states and eventually nationwide. So if you don’t reside in CA, stay tuned. Update: Clara was acquired by SoFi in early 2018.